The jigsaw is one of the most underrated power tools out there. For whatever reason, many DIY-ers feel that they can get by with basic tools like handheld circular saws, table saws, and maybe a drill press if they’re feeling fancy. 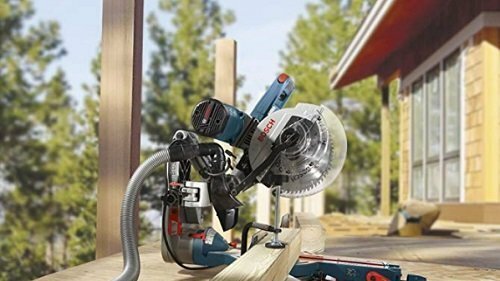 A jigsaw is a basic-looking handheld saw that features a handle, an electric motor, and a straight, narrow blade that hangs vertically under the tool. When activated, the thin blade oscillates up and down without any guards or fences, allowing you to cut in the middle of your workpieces after drilling a pilot hole for the blade to enter. There are several reasons why the average DIY-er would need a jigsaw in their arsenal of power tools. First of all, they’re not limited by any guards or fences, meaning that the blade will make flush cuts into any material. Of course, the straightness of the cut depends entirely on how steady a hand and keen an eye you have, but for the most part, a chisel will perfect the cut after running a jigsaw. Another great thing about jigsaws is their versatility. You can produce almost any cut as a result of the various blades that the tool accommodates. The assortment of blades available for jigsaws is meant to be used on different materials like wood, plastic, and even metal. But perhaps the most prominent advantage of a jigsaw is its ability to make curved cuts. This means you can reduce the amount of work and number of tools needed to make curved armrests for furniture or intricate cuts for bed posts or headrests. 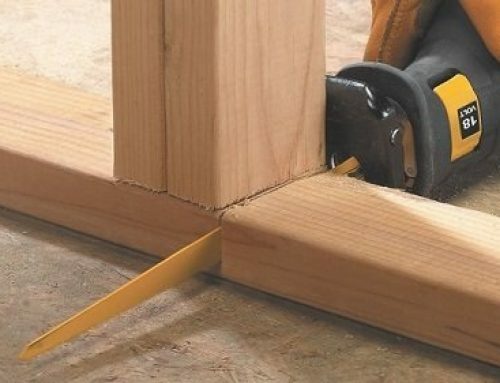 Try doing that with a circular saw or table saw, and you’ll most likely end up tearing the board apart (note: do NOT try doing that with any other saw). Finding the right jigsaw is more challenging than it sounds. It’d be nice if the first jigsaw you see is the best, but the “best” jigsaw actually depends on what you’re doing and what materials you’re working with. 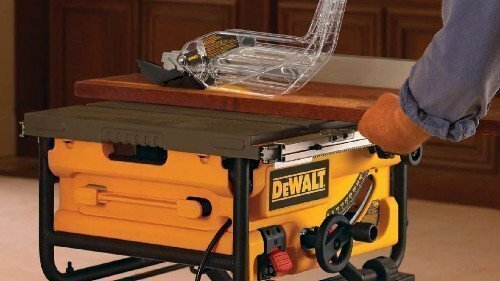 In the following sections, we’ll provide a brief buying guide for those of you who need a jigsaw for wood projects, metal, and to make curves and intricate cuts. The most basic use of a jigsaw is to cut wood. 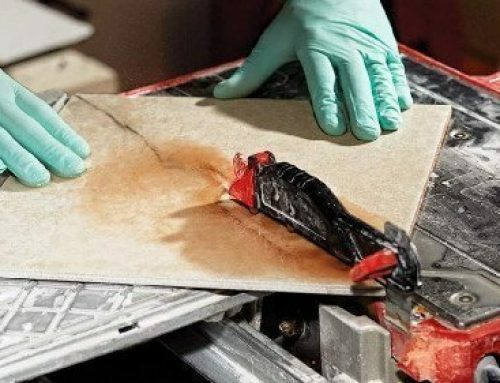 This is why in many professional woodworking shops, you’ll find multiple jigsaws fitted with different blades for thin and thick cuts through boards. If you’d like to pick up a jigsaw for wood-cutting purposes, then continue reading our guide on what specs and features make for a high-quality jigsaw. Like most power tools, jigsaws can come as either a corded-electric model or a cordless model. Choosing one over the other is completely up to you. However, we’d just like to point out the major benefits that each has to offer. Corded jigsaws can run for extremely long periods of time before the motor burns out. Cordless jigsaws can be taken and used anywhere on the planet, provided that the battery still has some juice in it. Between the two, the only question you need to ask is whether you appreciate portability more than uninterrupted runtime. Even though you’re (hopefully) working in a well-lit area, it doesn’t hurt to have some extra illumination shining bright on your workpiece, especially since the tool will probably block out most of the light emitted from the room’s light bulb. Now, we can’t really recommend built-in laser guides as a surefire way to make perfectly straight cuts using a jigsaw. They’re more of a hint of what’s to come rather than a guarantee. Some models have better laser guides than others in terms of straightness and alignment, but in general, experience is a much better teacher at making straight cuts than any laser guide could ever be. It may sound weird that a jigsaw which doesn’t naturally produce perfectly straight lines without a steady hand would have an orbital/pendulum feature. 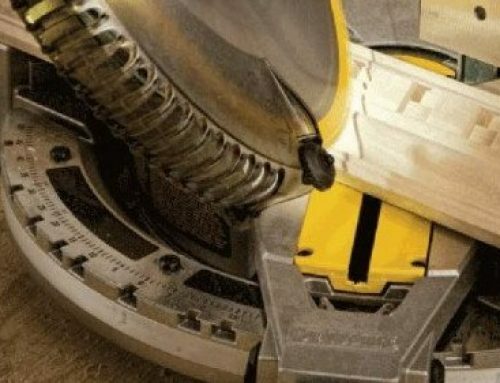 This feature swings the blade at an angle, giving it the ability to cut through thicker materials. It also combats heat as the blade oscillated rapidly through the wood which in turn extends the life of the blade. Many jigsaw models come with a variable speed feature – either a dial or speed presets – which allow the operator to choose how quickly the blade moves up and down. 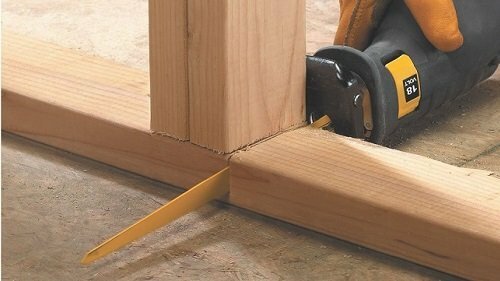 The average SPM (strokes per minute) rate is 3,000, but depending on what you’re doing, at what angle you’re cutting, and on what type of wood you’re working with, you’ll want to adjust the speed accordingly. 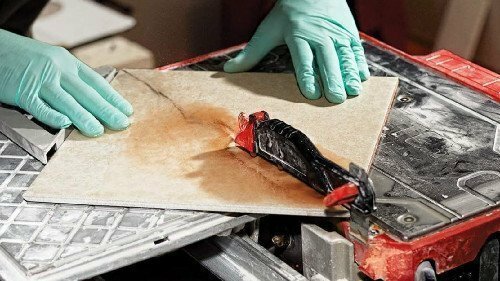 Even though the jigsaw’s blade is relatively thin compared to other saws, it doesn’t mean that it’s not able to cut through dense materials like metal. When working with sheets of metal or metal pipes, bars, and conduits, a jigsaw will prove to be a hand tool to cut them down to size. In this section, we’ll go over both the specs of a metal-cutting jigsaw and which blade you need to get. As we mentioned in the previous guide, jigsaws can either be corded or cordless. However, if you’re planning on using your jigsaw for more than just cutting wood, and especially for making cuts in metal sheets, then corded is the way to go. Corded jigsaws are generally more powerful than cordless, and every additional amp of power is a plus when dealing with metal. Of course, this is under the assumption that the tool comes with a sufficiently powerful motor for dealing with metal. 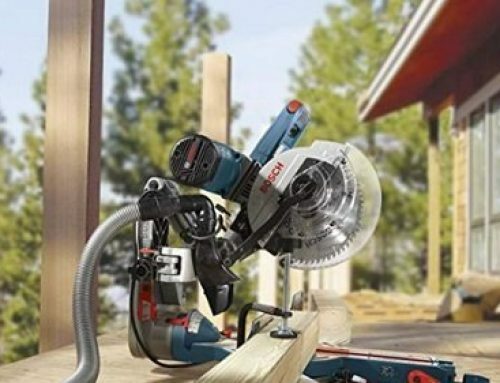 We’d recommend getting a jigsaw with a motor that’s no smaller than 4 amps for cutting metal. Like woodworking jigsaws, the best metal-cutting jigsaws have a variable speed feature. You’ll want to adjust the speed of the blade’s stroke depending on the type of metal you’re working with, as well as the thickness of the conduit/pipe/sheet. For cutting metal, generally speaking, slower is better since it has a reduced risk of tearing the sheet as well as overheating. Adjusting the angle of the blade is essential in extending the blades life, reducing heat, and cutting cleanly through metal. Setting the blade to 45° is recommended for cutting metal objects. The most important thing to pay attention to when shopping for metal-cutting jigsaws is the type of blade it comes with or is compatible with the model. Blades for cutting through metal have more teeth per inch (TPI) than wood-cutting blades. They’re also much more flexible to improve heat dissipation. Speaking of compatibility, not every jigsaw is designed to use every type of blade. Some jigsaws are versatile and allow users to mount both wood- and metal-cutting blades, while others are one-trick ponies. We’d highly recommend getting a versatile, one-tool-uses-most-types-of-blades jigsaw. Simply swap out blades, and it’ll be good for a wide range of materials. 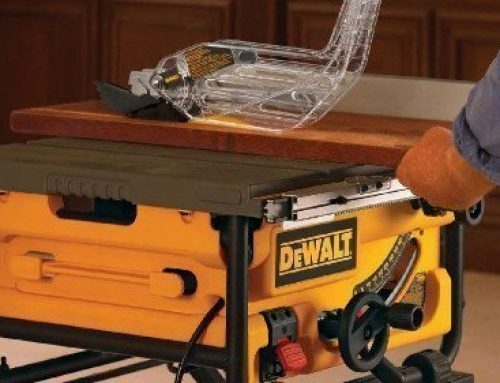 The final buying guide we’ll leave you with is on how to find the perfect jigsaw for cutting curves and producing intricate cuts in wood, plastic, drywall, and thin sheets of metal. Essentially, cutting curves comes is dependent on the type of blade fitted into the tool so we’ll focus more heavily on that. Variable speed is important to get the blade to curve at the right angle. Too fast and the blade won’t flex, but too slow and the blade won’t cut. The right speed depends on the material you’re cutting; around 3,000 SPM for wood and around 2,000 SPM for metal. TPI refers to how many teeth are found on the blade per inch. More teeth generally translates into cleaner cuts, but the jigsaw needs to work at a slower pace to do so. If you prefer speed, then get a blade with fewer teeth. You may need to make repeated passes or clean the cut with a chisel, but it’ll get the job done much quicker. Another thing to consider is the type of material used to construct the blade. There are three choices: high-speed steel, high-speed carbon, and tungsten carbide. HCS blades are bendy but not as durable as the other options. HSS blades are rigid, durable, and quite cheap. If you have experience and are looking for a long-life blade, then opt for a tungsten carbide one. In terms of bendiness, they’re in between HCS and HSS, but their durability outclasses the others. Beginners usually comment on how difficult it is to guide tungsten carbide blades when making curved cuts, but as the old adage goes: practice makes perfect. The width of the jigsaw blade plays a huge role in how well it’ll flex to the contour of the desired curve. However, narrower blades are also more prone to snapping, especially when in use in hardwoods and metal. If you’re not afraid of snapping but also don’t want to throw money down the drain, then consider getting thin HSS blades which are quite cheap and have a smaller chance of breaking than HCS. 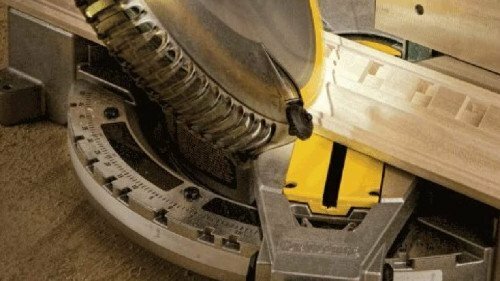 Finally, you’ll want to consider the length of the curve-cutting blade. It’s a good idea to find a blade that’s longer than the thickness of the material. Granted, the length of the blade isn’t as crucial as the width when making curves, but it’s still an important factor to consider if you want to make a cut through the board without having to flip it over. It becomes infinitely more difficult if you plan on making curved cuts using a blade that’s far too short. So there you have it, ladies and gentlemen. A jigsaw is a handy tool that any DIY-er and professional craftsman should own. They’re great for making free-hand cuts since they aren’t limited by fences or guards. However, they’re only as good as you are patient and/or experienced. It takes time to make straight cuts with a jigsaw, but it’s definitely worth it if you don’t want to spend hours chiseling away at the middle of your workpiece. In this article, we’ve split the buying guide into three sections. We talked about how to find the right jigsaw for woodworking, for metal, and for making curved cuts. Jigsaws for woodworking projects are the simplest to find. The tool usually comes with a stock blade that’s used for cutting wood, so you don’t need to worry about it too much. The most important factors are whether the tool comes with a variable speed feature and orbital action. Other than that, you’re pretty much good to go. As for cutting metal, the right jigsaw is any corded electric model that features at least a 4-amp motor. In our opinion, bigger motors are better since they’ll deliver enough power and speed to send the blade through sheet metal like a warm knife through butter. Jigsaw blades for cutting metal usually aren’t available in the tool’s box unless you get a jigsaw that’s specifically made for metalwork. However, they may not be compatible with other non-metal-cutting blades. The third and final mini-buying guide is on how to find the right jigsaw (blade) for producing curved cuts. In a nutshell, the right jigsaw is any that can deliver between 2,000 and 3,000 SPM, and a variable speed dial/speed presets would be ideal. However, it’s not really so much about the tool as it is about the blade. If possible, we’d recommend you get a thin, 12-plus-TPI carbide tungsten blade for making intricate curves in wood and/or metal workpieces. However, if you’re on a budget, then HSS blades will do just fine. Even though the length of the blade isn’t nearly as important as the width (bendiness and snapping), it’s still worth considering since finishing a cut by flipping the piece over can be a pain, especially when attempting to finish curves.